Finding your bliss is easy on a Costa Rica beach vacation at Hotel Tropico Latino. 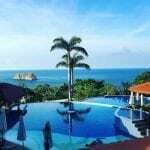 With inspiring daily yoga classes, Costa Rica yoga retreat vacations, and the marvelous natural spa at the beachfront hotel in Santa Teresa, Costa Rica, there is no better way to relax. Imagine having a soothing massage or relaxing in a yoga class while listening to the rhythmic sound of ocean waves (real ones, not recorded), enjoying cool sea breezes, and looking out at shimmering white sand and the brilliant blue Pacific Ocean. That’s exactly what it’s like at Hotel Tropico Latino in Santa Teresa, Costa Rica. See for yourself on Hotel Tropico Latino’s brand new website. Launched at the end of July 2015 to the public, the easy to navigate mobile-friendly website shows you in full color what it’s like at the Santa Teresa beachfront hotel. Information is given in bite-size bits that lets you pick and choose what you want to read. Gorgeous widescreen images make you feel like you’re in the yoga class or just stepped into the spa. A video takes you even deeper into the experience. 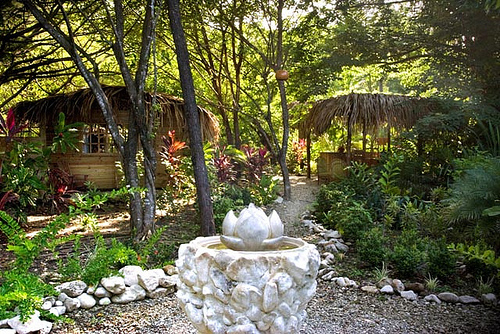 For more than 10 years, Spa Natural at Tropico Latino has delivered professional massages, wraps, exfoliations, and healing and energy services. 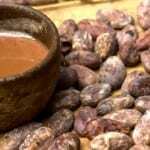 The spa uses natural healing products made with fresh ingredients like papaya, cucumber, coffee, coconut, almonds, carrots, honey and mint – all locally grown in Costa Rica. Be sure to check their special spa packages, including for weddings and honeymoons. Hotel Tropico Latino holds daily beginner and advanced yoga classes on two beachfront yoga decks. Certified instructors also offer private yoga classes, ungravity yoga, acro yoga, couple’s yoga, kids’ yoga, family yoga and health fitness classes upon request. Mats, blocks, straps and other yoga props are provided for use during classes. See the Tropico Latino yoga class schedule on the website, where you can also read more information about instructors Daniel Castro and Jessica Chea. Go for a yoga vacation, yoga class or spa day at Hotel Tropico Latino in beautiful Santa Teresa Beach on Costa Rica’s Nicoya Peninsula. Famous for year-round surf and picture-perfect sunsets, Santa Teresa was named one of Central America’s top 10 beaches for 2015. Reserve your visit today. Dining in Santa Teresa Costa Rica never looked so good!